​Huddersfield goalkeeper Jonas Lossl will be out of contract at the end of the season and could be set for a big move to French giants Monaco or Marseille. Lossl joined Huddersfield from Mainz in 2017 and was part of their spectacular promotion run last season. He has been one of the few consistent players in their current campaign, playing in all but two of their Premier League games this year. As reported by ​The Mail on Sunday (via ​ExaminerLive), Marseille and Monaco are interested in the keeper, but he may have to settle for a place on the bench with both teams having experienced campaigners in goal. 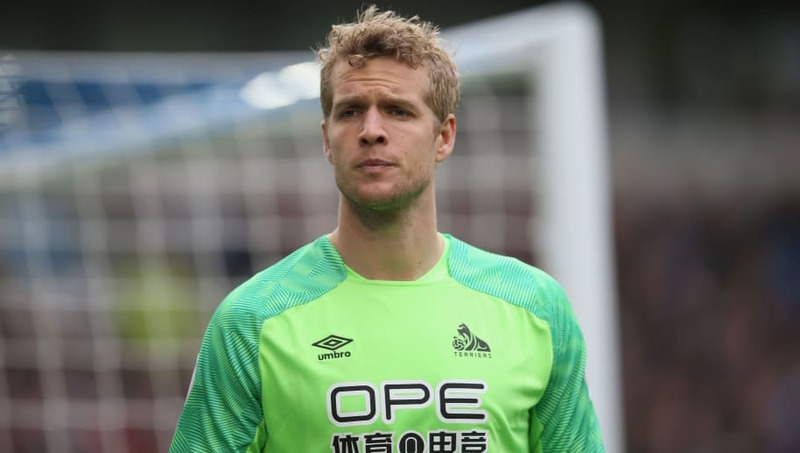 Despite Huddersfield shipping 53 goals this season, Lossl has been one of the bright spots for the Terriers and is one of the few players in the squad whose reputation hasn't suffered from their disastrous campaign. Lossl played a key part in one of Huddersfield's finest moments this season as he was integral in getting a point away at ​Chelsea. He was also a part of the Denmark squad for the 2018 World Cup along with teammate Mathias 'Zanka' Jorgensen. Jossl's departure would be a big blow for the Terriers, but they can't begrudge the keeper from wanting the chance to play for one of France's biggest teams as opposed to returning to the Championship next season. ​Huddersfield are at the end of a dismal campaign, sitting at the bottom of the table with 16 points between them and safety, as they look destined to be playing ​Championship football next season.